Montana is home to over 2.5 million cows; that’s more than twice the number of residents living in our state! With cow-calf operations weighing in as the second largest agricultural commodity in Montana, it only makes sense for schools and other institutions to purchase and serve beef that’s raised and finished in Montana. The Montana Beef to School Coalition has the goal of helping schools and producers make connections with each other and overcome barriers to serving local beef. Formed in July 2013, coalition members collaborate on research, education, and outreach related to beef to school with the hopes of supporting healthy Montana children, vibrant rural communities, and strong local economies. The Montana Beef to School (B2S) Project is a three-year collaborative project between beef producers and processors, schools, researchers at Montana State University, National Center for Appropriate Technology, Montana Department of Agriculture, and various community partners whose goal it is to increase the use of local beef in every Montana school. We will be looking into ways that beef to school can benefit schools, ranchers, and local meat processors, as well as highlight best practices from Montana communities. In the meantime, we have suggestions to help get you started on bringing Montana beef into your school. Follow the link in the header to view this fact sheet and learn how to get started today! Stay tuned as we work through this process and continue to provide you with best practice guidelines. More than a dozen Montana schools are purchasing local beef for school cafeterias. This practice has the potential to increase kids’ understanding of Montana’s ranching heritage and where their food comes from, while also providing economic support for local ranchers, meat processors, and agricultural communities. Read on to learn about the various methods of beef to school efforts that are bringing Montana beef to Montana kids. What is the difference between wet-aged and dry-aged beef? What state-inspected meat processor is closest to your school? 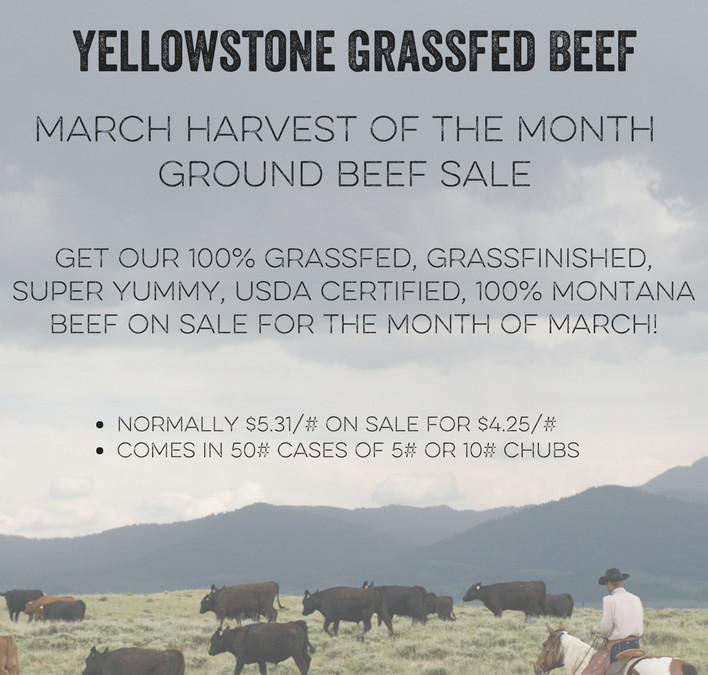 Developed by the Montana Department of Agriculture, this document is a guide to sourcing Montana raised and finished beef for your institution. Montana’s 2012-2013 FoodCorps Fellow Lea Howe put together this video that demonstrates the growing efforts to serve local beef in Montana’s school cafeterias. Wrapping Up Montana Beef to School! Folks, it looks like the cows have finally come home. The Montana Beef to School Project is wrapping up after three exciting years of exploring what factors make beef to school successful! As we reach the end of November, we want to celebrate the work that this amazing coalition of Montana beef producers, processors, schools, and other stakeholders have done in encouraging the use of local beef in every Montana school. Since the project’s inception in 2015, the tools and findings of the Montana Beef to School Project have given local beef producers, processors, and schools the resources necessary to build strong and sustainable procurement relationships. We’ve researched successful local beef procurement models, conducted training to assist producers and their processing partners interested in selling to schools, created educational guides, promotional materials, student curriculum, procurement templates, and more. By engaging a diverse group of producers and other stakeholders in meaningful roles throughout the past three years, this project has fostered partnerships and garnered long-term interest and investment in local and regional beef markets. All this means that rather than marking the end of Montana’s beef to school efforts, this project’s wrap-up marks its beginning! In the spirit of Montana’s long and exciting beef to school road ahead, we would like to announce an upcoming resource: the Beef to School Pitch Kit! This will include materials you can use to make the case for beef to school to your board and administration, customizable promotion language, a memorandum of understanding (MOU) template, and local beef price point ranges. Stay tuned for the future of Montana Beef to School and don’t forget our treasure trove of resources below. Remember that all of our Beef to School resources, including webinars and training presentations, can be found at the Beef to School Webpage and that regular Beef to School updates can be found on the Montana Farm to School Facebook Page. Additionally, we would like to big a BIG thanks to all our wonderful partners, to whom this project owes all its successes. 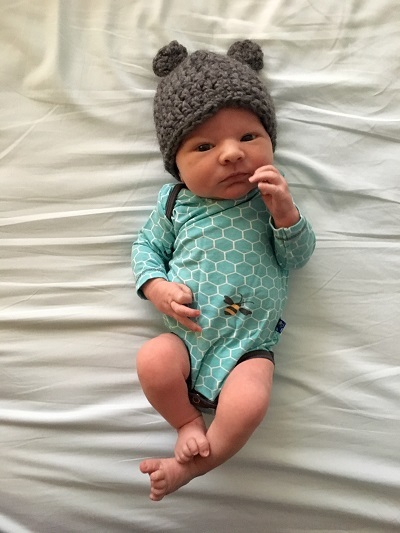 Finnegan Wilde Shanks was born on November 29, 2017. Born of our B2S Project lead, Carmen Byker-Shanks, Finn is sure to be one strong ox once he’s weaned. This decision tree provides methodical guidance for school food service staff are interested in B2S. This tool can also be helpful for processors and/or producers that are seeking to create sales partnerships with schools, as it gives an in depth look at the school food service procurement practice. These procurement templates are exactly what school food service needs to ease into the process of local beef procurement for purchases over $3500. Soon after these resources were released the USDA’s Office of Community Food Systems partnered with the Montana Beef to School Project, Montana State University, Montana Team Nutrition, and school food service directors to offer a Beef to School Webinar (or “Beefinar” as we like to call it) The Beefinar was a great opportunity to share successful strategies for serving local beef in schools. We explored the Montana Beef to School Project’s findings and resources – including the aforementioned new beef to school solicitation templates designed to help school districts purchase local beef. Participants also heard from two school food service directors (including Jay Stagg, Whitefish Public Schools) who shared their strategies and lessons learned for purchasing and serving local beef in schools. If you missed the Beefinar in February 2018, don’t worry you can watch the recording here! Next up the research team set about working on a MontGuide and Special Extension Bulletin through the MSU Extension Office. Thanks to the wonderful team members that we have working with Extension, Beef to School strategies will now be a timeless resource provided through MSU Extension across the state. The MontGuide includes the take-home points from two years of research, highlighting the models, barriers, and recommendations. Read the whole MontGuide here. Our research team is working with a finite timeline, and we’re trying to grind out all the resources that we can to help further B2S in Montana, before our grant concludes. 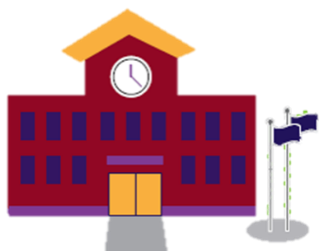 After receiving and responding to many of the same questions, some of our team members thought it is time that we put together a Frequently Asked Questions (FAQ) resource for folks that visit the Beef to School Webpage. So, if you find yourself asking questions as complicated as “I want to sell my beef to schools; how do I get started?” or as simple as “What is the difference between wet aged beef and dry aged beef?”… rest assured that you can find an answer in the B2S FAQ. We’d like to extend a huge THANK YOU to the B2S Coalition Members that helped with this document. Whether you submitted a question, or helped to craft the answers, our team almost had a cow over the support that we got from the coalition and we offer you a hearty thanks on this mooooomentous occasion. Additionally, we’d like to offer up our thanks to ALL of the wonderful B2S partners that have made this project a reality. We are udderly thrilled to have your support. 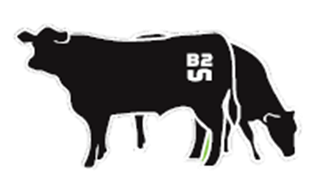 Remember that all of our B2S resources can be found at the Beef to School Webpage and that regular B2S updates can be found on the Montana Farm to School Facebook page (formerly the B2S Facebook page). Do you envision a Montana where local beef in schools is the automatic choice? The Beef to School Coalition thinks local beef should be at option for every school, especially in a state where there are more cows than people. With coalition members spanning the agricultural community, academics, government, public, and private sectors, we agree that Montana beef for Montana kids makes sense. In this blog post, we’ll explore an interview with a Montana school that got an offer for local beef that it couldn’t refuse. As a ranch wife, Cindy eats a lot of Montana raised beef. But when it came to making local beef available to the students in the cafeteria, some barriers existed. A few years prior, local ranchers had approached her with the idea of selling beef to the schools, but the cost of the beef and the processing expenses, were too much for a strained school lunch program budget. Big Timber, Montana has two schools, including a K-8 school with about 300 students and a high school with about 165 students. Cindy’s responsibility is to feed all of the students in the same cafeteria, which is located in the high school. The food service uses the National School Lunch Program, which provides a limited budget. As of today, Cindy has brought close to 1300 pounds of local beef into the cafeteria with commitments for more in the future. So, what changed? 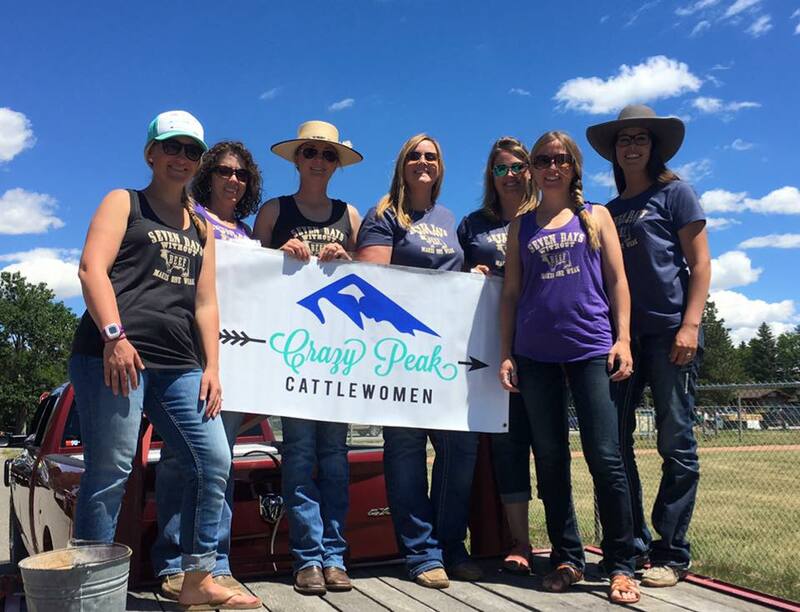 The buzz around local beef in Big Timber began less than 1.5 years ago, when Cindy was approached by representatives of the Crazy Peak Cattle Women (CPCW) with an outstanding offer. CPCW would accept donations of beef from ranchers and donate the beef to Big Timber schools. The school’s only expense would be to pay for processing. CPCW is a non-profit, which means that they can give ranchers a tax write off for their donation, further incentivizing local producers to get involved. Crazy Peak Cattle Women met with the county health and wellness coordinator initially to develop a plan for a beef to school program. Backed by research and technical assistance from the Beef to School Project, they planned a donation model that fit the needs of the school, ranchers, and processor. The beef they source is as local as possible, and often from families with kids in the school system. Cindy defines local to be Sweetgrass County, plus the 5 neighboring counties. Most of the donated beef are culled animals, which are out of production and often a bit older. More recently, the school was donated a half of grass fattened beef. All of the beef is processed at Pioneer Meats, just 2.5 miles down the road from the school. The beef is cut to the specifications of Cindy and brought into the school frozen. Cindy remarked that she really enjoys being able to work directly with the processor to specify cuts, packaging, and delivery. She said, “On the plus side, it’s really nice to be able to say, being a rancher, I know what’s going to be cut off of an animal, I know where it’s coming from…” The school uses ground beef, stew meat, hamburger patties, and deli sliced roast that Cindy turned into jerky. She mentioned that she is happier with the custom cuts that she is able to order through Pioneer, as compared to what was available through USDA Foods. The biggest challenge for the school has been coordinating delivery times, which has been a juggling act at times. The school experimented with recipes and cuts, giving students a chance to provide feedback. They started taste tests last year with several meatball recipes made of the local beef. The taste test was placed at the end of the lunch line for high school students to sample. Then following lunch, students voted for their favorite recipe. In another taste test, students voted that they did not prefer roast beef from culled cows. 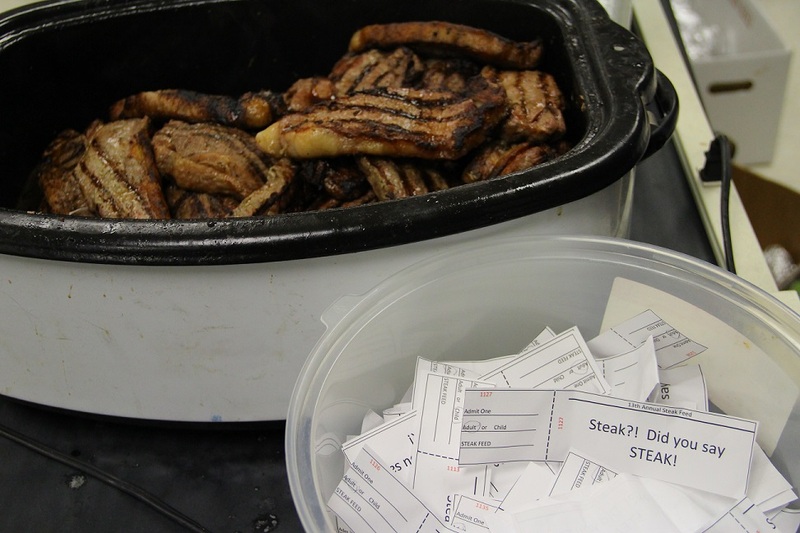 Instead, Cindy used the culled cow beef to make jerky for a snack cart that students have access to during study breaks. 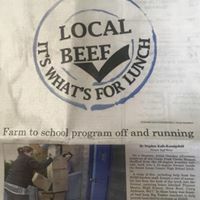 When asked about promotion efforts and engagement of the community, Cindy noted that the recent local news story increased involvement and knowledge of the Big Timber’s beef to school program. For example, Cindy said “The kids knew about it more than the adults did!” Now, the school promotes local beef on the menus and put it on the morning announcements. After hearing the morning announcement that local beef is on the lunch line, students rush to the cafeteria for lunch. The cafeteria staff are also big fans of local beef, with Cindy remarking “[local beef] smells better when they cook it.” She also made comments about the difference in runoff when they cook the local beef. There were times when the kitchen staff would cook up 80 pounds of USDA Foods burger and end up with close to 5 gallons of runoff, a mixture of mostly water and some fat. With the local beef product, it’s surprising if the cooks end up with a gallon of runoff, meaning that the school is getting more cooked beef for their dollar with the local product. Read on to see what we have learned in the past year, what’s coming up in the realm of beef to school, and find the place where you want to plug in! Beef to school = beef producer + processor + foodservice. Each of these stakeholders is involved in some aspect of local beef production, procurement, and service. In 2017, The Beef to School Project developed a case study report to explore different models for how producers, processors, and foodservice work together to make a beef to school program successful. Many strategies were generated from the case study research about making the beef to school equation successful. For example, many schools mentioned the importance of parents and the broader school community in generating support for serving local beef. Each case study site also encouraged new beef to school programs to START SMALL with one local beef meal per week, month, or semester. Ensuring that producers and processors are meeting food safety and agricultural standards is key to success. Schools, producers, and processors need to negotiate so that budget needs are met for all operations. Some of the primary motivating factors for beef to school programs are quality, locality, nutrition, and food literacy. Many stakeholders that engage in local beef procurement mention that local beef is of a higher quality than conventional or USDA Foods beef products. In addition to quality, stakeholders are excited about building community through their purchasing strategies. Many stakeholders perceived local beef to be nutritionally superior and as an avenue to increase “food literacy” by teaching about the beef supply chain. It is estimated that 1,000 animals would supply all the Montana schools at the current beef protein rate consumed. Already 200 to 250 animals are being consumed in the state, and there doesn’t seem to be any issue with finding 1,000 animals to supply the state’s school systems. Through our research it has become evident that, in most situations, local beef will be more expensive than non-local beef. Many schools value the benefits of local beef despite cost and have strategized ways to afford the product for the school lunch program. We have found many strategies to overcome cost differences. The first is selecting cull animals to be proceseds for beef to school programs. Montana producers typically raise calves and send them out of state to be finished and processed. Cull animals are animals that are removed from the breeding herds, and can be purchased at lower prices than prime finished steers to be turned into hamburger. These culled animals can end up at weekly auction yards, of which there are about a dozen across the state. Schools are welcome to attend the auction to buy culled cows and pay for processing. Many other cost reducing strategies exist. In smaller communities, one rancher donating a cow can supply a school. Then, the school only has to pay the fee for processing. In communities with high end restaurants, producers or processors can market their steaks at a premium, and may be able to sell hamburger to the school at a lower price in order to market the entire cow that has been processed. The Beef to School Project has many important steps planned for the coming year to further understand how to facilitate successful beef to school programs. The processor survey is currently underway and intended to evaluate interest, participation, and barriers in B2S from the processors’ point of view. Soon to follow this survey will be a producer survey, to evaluate similar objectives. Stay tuned! There are also two school-based experiments currently in process. First, a combined taste test and plate waste study. 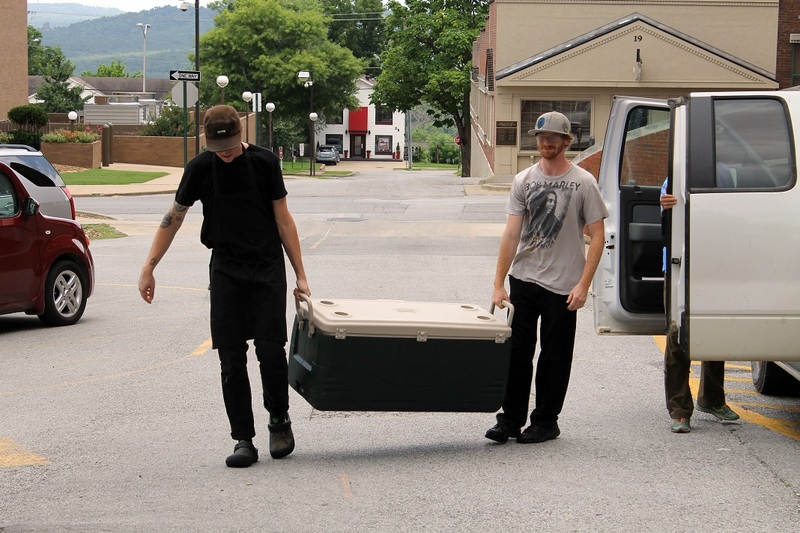 The B2S Research Team is developing a protocol for doing a taste test between local versus non-local beef, and measuring the amount of food that is thrown away when each are served. The second experiment is runoff testing. Every cafeteria staff member surveyed for the case studies said that local beef has less runoff (water and fat that is expelled from the beef product during cooking). 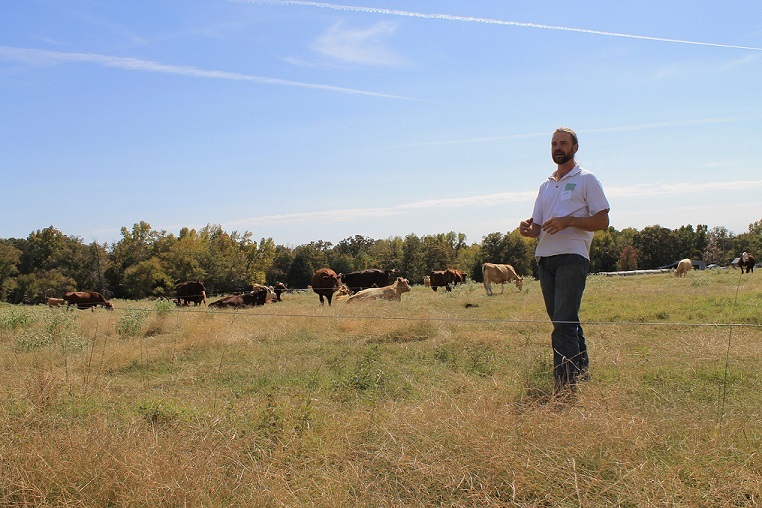 The B2S Research Team is working with two schools to develop protocol to measure runoff in local versus non-local beef in order to determine if this claim for local beef is reality or perceived. The B2S Research Team is also developing a B2S request for proposals (RFP) and informal bid template. Both of these documents are intended for use by food service staff to ensure that their search for a vendor for local beef is both equitable and legal, depending on the purchase size. Many outreach materials are planned to be published in the coming year to help stakeholders navigate the beef to school process. B2S Decision Tree: This document will provide methodical guidance for food service, processors, and/or producers that are interested in B2S. Pitch Kit: Collection of documents and marketing materials that can be used by coalition members to start the local beef conversation in schools. Producer/Processor Database: List of producers/processors interested in working with schools on local beef procurement. This will be an online database, and most likely an extension of NCAT’s Farm to Cafeteria Network Producer Database. Regulation Guidelines: Simplified version of food safety guidelines and an inspection status sheet that informs buyers on who they can purchase from and what their safety concerns should be. 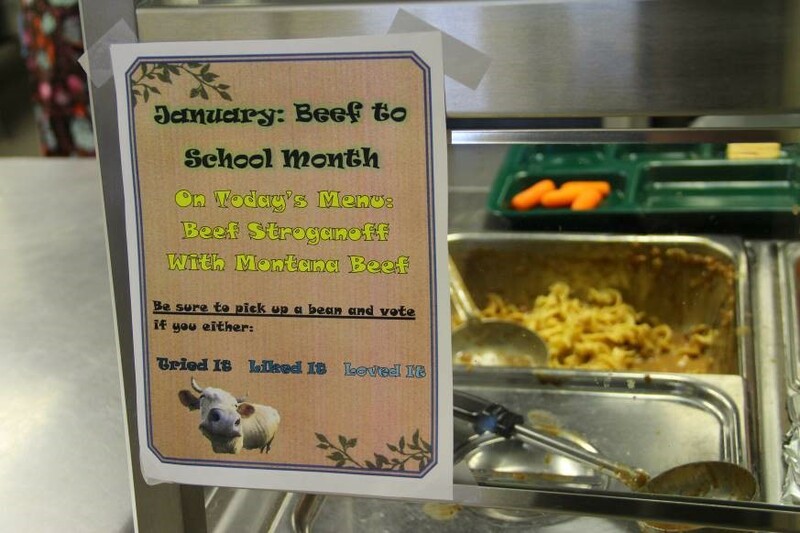 Montana’s Beef to School mooooovement has received a lot of positive press since the release of the case studies through the news and listservs, a few of which have been mentioned in previous B2S Blog posts. We have also presented around the state and the nation to share the beef to school story. This includes presentations at the Food Studies Conference in Berkeley, California; Sprouting Success: Montana Farm to School Summit; and the California Farm to School Conference. We need your input at this year’s Beef to School Coalition in-person meeting to be held on Friday, April 28th at Bozeman High School. This meeting will inform out outreach strategy for the coming year and add to our understanding of what resources exist, where they are, and what the Beef to School Team needs to be creating to facilitate the growth of B2S in Montana. Please RSVP to beef2school@gmail.com by Monday, April 17th so we can count you in for lunch, and let us know if you have any agenda items you would like to discuss. Snacks and lunch will be provided. We would love to have as many members of the Coalition present as possible! 1:05 Beef to School Toolkit…What’s Available + What’s Needed? Beef to School Case Studies and More! Greetings Montana beef enthusiasts, winter is upon us and local proteins abound! This update contains an overview of the Montana Beef to School Project’s work over the past few months, including the recently released beef to school case studies. Excitement about beef to school is plentiful around Montana. At the Montana Farm to School Summit on Friday, September 23rd, 2016, Carmen Byker-Shanks, Janet Gamble, and Robin Vogler presented the story of Montana Beef to School to a packed room of conference attendees. In their breakout session, “Mooooving Forward Together: Beef to School Basics”, the team shared the creative ways that schools are working with producers and processors in Montana to procure local Montana beef in hopes that Montana farm to school advocates could bring tested beef to school strategies to school menus in their own communities. Also at the Montana Farm to School Summit, beef to school received a special shout out from Superintendent Denise Juneau in the opening session. She even mentioned the beef and mushroom blend that’s being tested in schools including Whitefish and Kalispell! 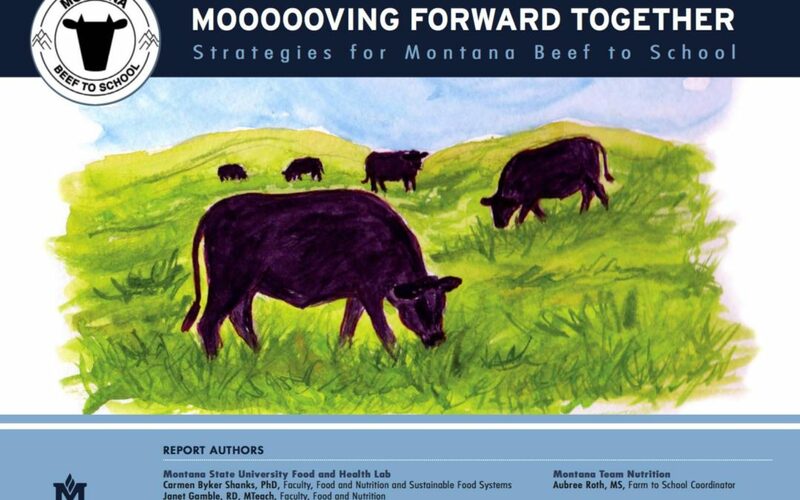 After many months of traveling to collecting beef to school stories around the state of Montana and synthesizing all of the data, the final case study report is available to the public! In celebration of National Farm to School Month, these case studies were released to the public on October 28th, in conjunction with an MSU News press release. The Montana Beef to School Project aimed to find and share beef to school strategies that work for producer, processor, and school partnerships. Through this case study research, the benefits, challenges, best practices, and gaps that exist for beef to school procurement models were identified. The case studies examine 6 different schools, 2 producers, 2 processors, and 1 producer/processor from Montana, providing new information that will be used to improve current beef to school programs and assist new communities in the adoption of beef programs. Later in the fall, the research team will be releasing a survey for processors, seeking quantities information to build upon the qualitative case studies. The Montana Beef to School Project is interested in collecting survey responses from the roughly 40 state and federally inspected processors in Montana. Our research to date shows potential for increasing the viability and sustainability of Montana’s processors through the expansion of institutional markets, such as beef to school. With input from these processors, the Montana Beef to School Project hopes to be able to determine the economic impacts of the current beef market and to gauge the opportunities in selling local beef to schools. Thanks for following the Beef to School project, and as always, stay in touch by email at beef2school@gmail.com or check out our Beef to School website, Facebook page, or Twitter account. Happy Spring! The Beef to School project is mooving right along and we are excited to share the latest news. In late March, the Beef to School Coalition gathered at the Livingston Food Resource Center to discuss resources and and dig into the barriers that can encourage or prevent Montana schools from serving Montana beef. Read on for a few highlights from the gathering and stay tuned for more beef to school activities in the coming months! Jeremy Plummer from Lower Valley Processing speaks about selling to schools. A highlight of the gathering was hearing from Jeremy Plummer of Lower Valley Processing in Kalispell and Robin Vogler of Somers/Lakeside school district. Jeremy kicked off the day by relating how he started selling to the Kalispell school district about four years ago. He was approached by the food service director at the time, Jenny Montague, who wanted to serve local beef in the school meals and who asked him if Lower Valley could provide that beef. Her visit led to negotiations on a price point match that would work for both parties, and the processing plant had to purchase a refrigerated truck for deliveries to the school. 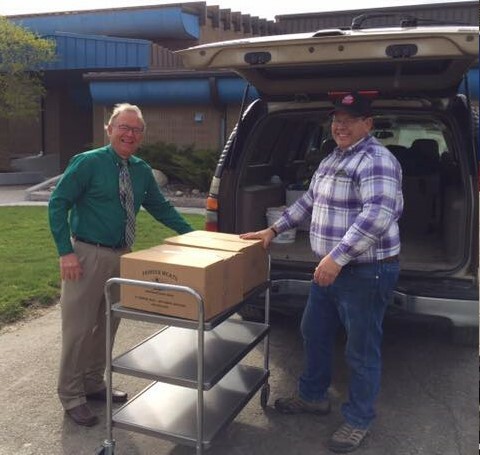 Lower Valley continues to deliver to the Kalispell schools two times a week with fresh, bulk burger. One of the ways he keeps the cost down for the school is by sourcing culled animals and older bulls to create a blend of beef that is cheaper than the market beef. Jeremy also talked about the “feel good” factor of working with schools, as it keeps money local and saves transportation time and energy. Additionally, Lower Valley has hosted field trips for elementary students to tour the processing plant to learn about where their beef comes from. Robin Vogler, food service director at the Somers/Lakeside school, provided a buyer’s perspective by sharing her story of serving local beef over the years. She started sourcing Montana beef in 2006 after there was a beef recall and has worked with a local rancher to buy culled beef until that rancher moved. Price point is a challenge for her, so she buys Montana beef for special meals. Robin talked about how she wants ranchers and processors to get a fair price and would like to see policy changes so that she could use commodity dollars to purchase local products. Local Beef and Mushroom Chili: try it, like it, love it! Another highlight of the gathering was hearing from Dayle Hayes of “School Meals that Rock” about strategies for pairing local beef with mushrooms, with the goal of allowing schools to purchase local beef (at a potentially higher cost) by stretching the amount of beef required for entrees. Dayle talked about the natural complementary tastes of beef and mushrooms. She also pointed out that using mushrooms allows schools to meet vegetable meal pattern requirements, and including mushrooms or lentils in the entrée allows for larger portion sizes. Many participants in the meetings had questions for Dayle and were interested in hearing more about this concept of blending to stretch beef. This presentation was the first in what the team hopes will be an ongoing series highlighting innovative strategies to incorporate beef onto the lunch tray. For example, lentils have also been blended with beef in school meals with the same idea of extending the beef through blending. Everyone at the meeting had the chance to sample lots of beef dishes! A “Local Beef and Mushroom Chili,” recipe created by Malissa Marsden, was served with whole-grain cinnamon rolls. Conference attendees voted whether they “tried it,” “liked it,” or “loved it,” just as students in schools do when they participate in a taste test. The voting took place on Ipads with an app developed in collaboration with the Mushroom Council and NutriSlice. Conference attendees “loved it!” Lunch was served at Park High School, where once again attendees got to eat as the students do, enjoying a Taco Crunch made out of Lazy SR beef. The day concluded with an overview of all the resources currently available to schools and producers for reaching out to one another (available by request! ), as well as brainstorming on what still needs to be created. Suggestions included guidelines on school food, such as portion sizes, delivery method, and packaging information for producers and price points that schools can work with. More exciting and innovative beef to school recipes to come in the near future! Please email beef2school@gmail.com to be added to the Beef to School Coalition list, and follow the Beef to School project on our Facebook page or our Twitter account. Happy 2016! The Beef to School team spent some time at two different cow/calf operations in Wilsall as 2015 came to an end. We would like to share some highlights and lessons learned with you from these visits to Muddy Creek Ranch and the Lazy SR Ranch. Please be in touch with your stories and questions regarding beef to school as we continue to meet with ranchers, schools, and processors across the state! Email beef2school@gmail.com, check out our Facebook page, or our Twitter account. Muddy Creek, a Wilsall beef operation, sells grass fed and finished beef. They have the distinction of offering Lowline Angus cattle; a breed not very common in Montana. Muddy Creek sells many of their calves each fall and also keeps some of their steer calves for an extra year. 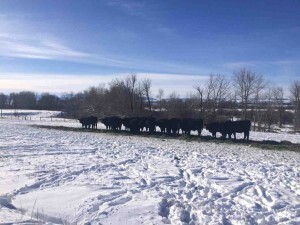 The remaining steer calves are marketed to local and regional customers, including restaurants, hotels and individuals. Their mission is “to produce quality seedstock, productive commercial cows and predictable carcasses for a growing demand for grass fed beef.” Muddy Creek is certified by the Western Sustainability Exchange, which means there is a focus on no hormones or antibiotics, low stress livestock handling practices, and sustainable stewardship practices. The owners of Muddy Creek Ranch also own a bar and cafe in Wilsall and serve some of their beef there. The ranch was proud to have previously partnered with local schools, but it is not currently marketing their beef to schools. While the ranch initially sold some of their product to the school in Wilsall, they stopped because they were selling the beef at a loss. The ranch found that they have enough other customers for their hamburger, which is often the product that schools purchase for their lunch programs. The Lazy SR has been raising Angus cattle in the Shields Valley for decades, and the ranch takes pride in producing and supplying beef in the local area. In addition to raising and selling Angus calves each fall, they keep a portion of their calves on the ranch until they reach market weight. 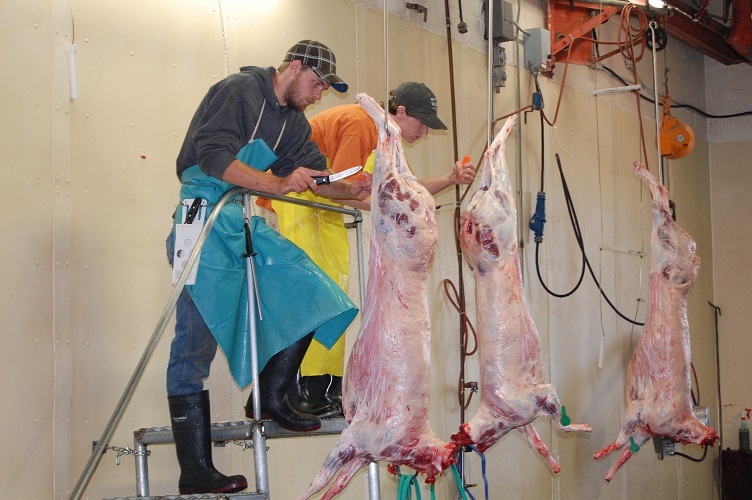 After processing, individual cuts of the meat are then sold in a several county area to individuals, grocery stores, restaurants and foodservice companies with the assistance of a distributor. 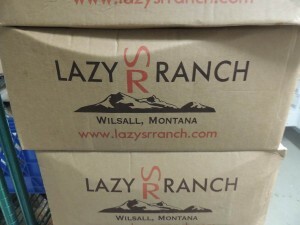 Lazy SR raises hogs and chickens as well, and the ranch does their own poultry processing. Lazy SR raises about 900 calves every year. Their beef is processed at Ranchland Packing in Butte. 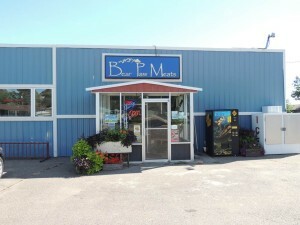 The owners like to process their meat in a federally-inspected plant to allow for some sales over state lines. 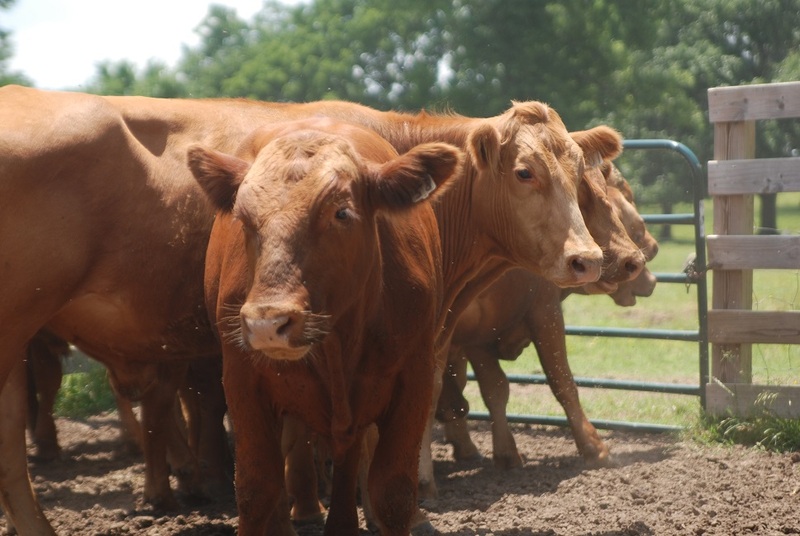 Because Lazy SR finishes their animals on grain, they have the ability to slaughter year-round and could increase their supply to meet growing demand for local beef, whether from schools or other markets. Right now the beef to school is just a small piece of their market and they are selling to the Livingston School District. (See our last blog post for more about Livingston school district’s commitment to beef to school.) Lazy SR has also worked with schools in another capacity by donating beef to schools for such events as the FFA spring banquet. Thank you to the Muddy Creek and Lazy SR ranches for hosting the Beef to School research team! Fall has officially arrived and school is in full swing across Montana. Teachers are busy teaching, students are busy learning and playing, and at least once a day, everyone at school is busy eating. Meanwhile, the Montana Beef to School research team, a USDA Western SARE funded grant and part of the Montana Beef to School Coalition, is hitting the road to find out more information about successes and challenges of serving local beef to students and staff in Montana schools. Read on to learn from two communities in Montana who are serving up local beef in their schools, how they are making beef to school work, and why it is a priority. Three members of the Beef to School research project team spent some time visiting with John Polacik, the School Food Service Director of the Livingston School District, to discover his motivations and means for serving local beef. 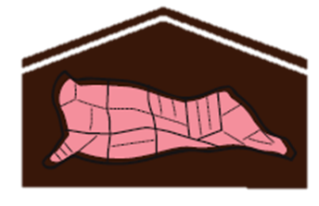 Polacik values serving local beef in the school lunches primarily because of the quality of the meat and the ability to know the source of the food. Almost all of the beef in the district’s school meals is locally sourced, with the exception of the occasional specialty item like meatballs. Working within a school food budget is always a challenge, but Polacik is personally committed to prioritizing the purchase of local beef. One of the ways he is able to save on cost is by having his staff turn the raw hamburger into burger patties right in the school kitchen, as the school has its own patty-making machine (check out the video below!). 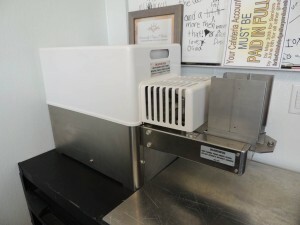 This machine was purchased with funds from a USDA Farm to School grant. The patty-maker helps save on the cost of the raw beef and provides a nice change of pace for his staff who are ready to try new things, including making beef and veggie pasties from scratch. 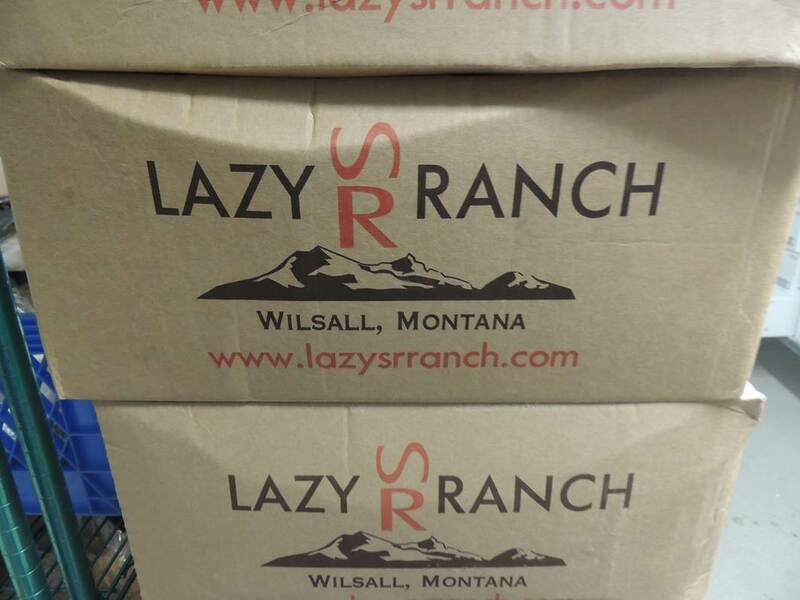 Polacik currently purchases beef from the Lazy SR Ranch, which is located in the Shields Valley. He found Lazy SR to have a sufficient beef supply to match the demand of the school, and he also is able to work with the price point of the beef. Polacik hopes that there will be more opportunities to connect educational activities with his local purchasing in the future to increase student awareness of the food served in their school lunches. 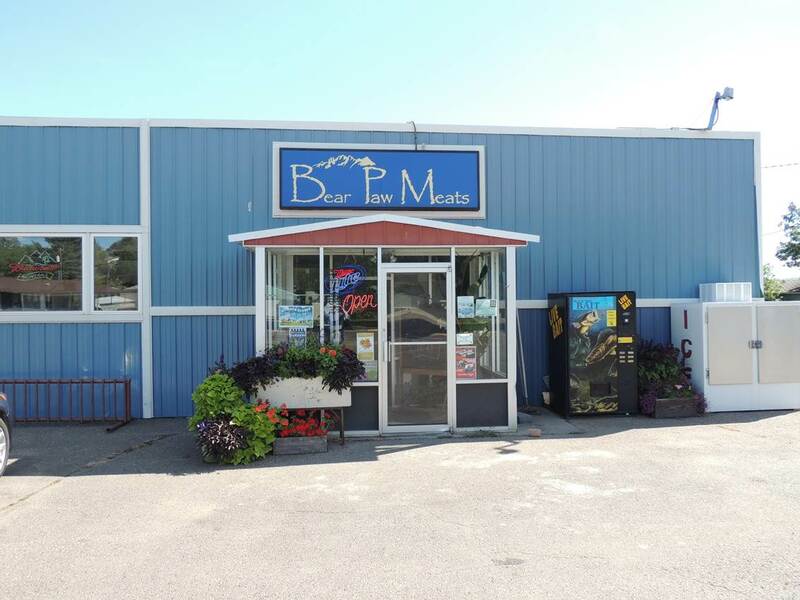 Two team members also visited Bear Paw Meats, a multiple-generation family operation that raises, finishes, and processes cattle, in addition to selling the meat at a retail store, meat counter, and wholesale. Bear Paw Meats works consistently with Hinsdale school, as well a few other area schools. Owner Karla Buck explains that they do not use culled cattle when selling retail beef through their marketing channels. Instead, they use feeder cattle that they finish in their own feedlot, utilizing locally sourced feed, such as Montana corn, barley, or high quality hay. The Buck family is committed to working with schools, restaurants, and other retail customers by providing high quality beef to the communities they serve. Further processor, producer, and school interviews will be conducted to complete two case studies during this fall and three case study partnerships will be conducted during the spring. Case studies will be used to inform a Beef to School best practices guide and the creation of resources for other schools and communities. If you want to learn more about the team’s progress, how to support beef to school in Montana, or to get involved with the Montana Beef to School Coalition, visit the project’s Facebook page, Twitter site, or email beef2school@gmail.com. Check out this video of the Park High School Patty Maker in action!